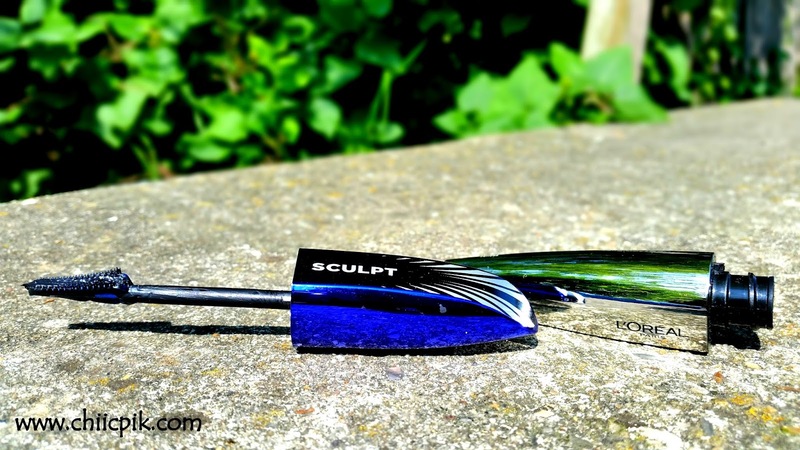 My review on L'Oreal False Lash Sculpt Mascara! the brush looks so simple that I did not expect anything from it. Immediately after I also had regrets on my purchase because let's be honnest I did not need a new mascara... Anyway, I bought it and now I can give you my review. The brand claims that this mascara does many things. "Now, a longtime makeup artist secret is revealed: Tight-lining. What is it? Lining the upper lash line to create the illusion of fuller lashes and more defined eyes. 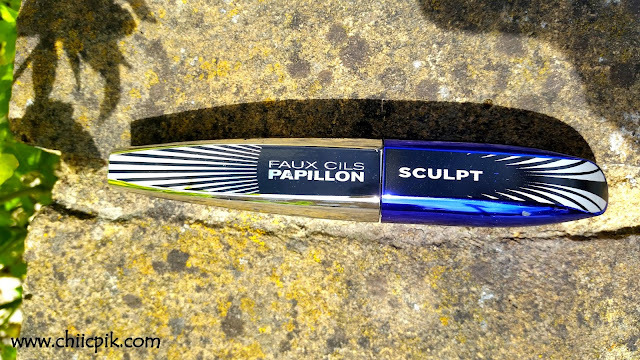 Now L'Oreal's Voluminous Butterfly Sculpt Mascara does it for you. Use this mascara for an intense tight-line effect at the roots and fanned out volume at the tips. The smaller and tighter bristles come as close as possible to the lash line filling in between the roots to deposit maximum volume for a no-gap tight-liner effect." Well I already knew about the tight-lining technique and I already use this technique with other mascaras. 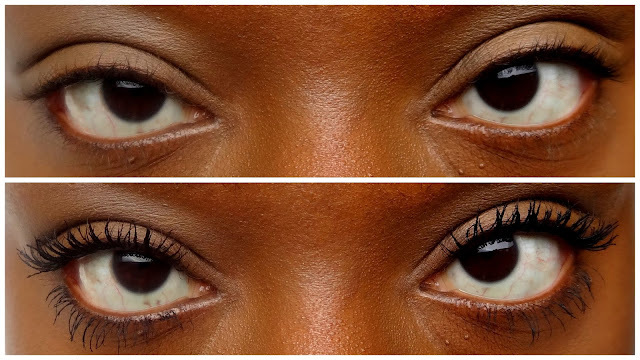 On top of this post you can see the before and after pictures with this mascara and you can clearly see that it is not a bad one. Now I need to add that I do not have a proffessional camera and it is very difficut to shoot lashes so close. So you need to know that in real life my lashes look longer than what you see on those pictures. They are longer without mascara and they are also longer with this mascara compare to the pictures. -It does make the eyelashes look longer and fuller. In real life the difference is more obvious with the length than the thickness. -It does not give enough volume if that is what you're looking for. -If you are not careful or if you go too fast it can easily clump the lashes so you need to find the right technique and have enough time. My tip is to remove any excess product before applying the first layer and to take your time when you apply it. -The waterproof version is not a real waterproof as I can remove this mascara with a regular micellar water. I do not think it is the best mascara in the world but it is a very good one that I could repurchase. Have you ever used it? Do you like it?